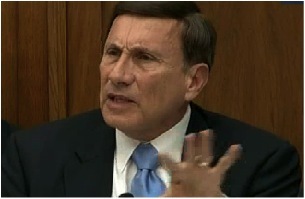 House Transportation Committee Chair John Mica continued his “holy jihad” against Amtrak yesterday, holding the third full-committee hearing in a series on “Reviewing Amtrak’s Operations.” He’s planning at least three more hearings during the lame duck session after the election. Mica went after subsidies in this one, and he clearly thinks this is a winning issue. After all, Amtrak has gotten nearly $1 billion a year in federal funds over its 41-year existence. The per-ticket subsidy over the past five years has averaged nearly $51. Mica compared that to other forms of transportation: Using 2008 data, he showed that the average per-ticket subsidy to aviation was $4.28, for mass transit was 95 cents, and for intercity commercial bus service 10 cents. Considering that about 20 percent of the Highway Trust Fund goes to transit, that’s still more for highways alone over the past four years than Amtrak has ever gotten. Meanwhile, Amtrak affirmed this week that the rail line covers 85 percent of its operating costs with ticket sales and other revenues [PDF]. Mica did acknowledge in his opening remarks that “almost all forms of transportation are underwritten by subsidies” but didn’t mention roads, despite the massive subsidies road builders receive. That’s not quite right either. DeFazio’s staff didn’t return Streetsblog’s requests for information about where that number came from, but Amtrak spokesperson Steve Kulm confirmed that the Republicans’ $51-per-ticket number does, indeed, account for all Amtrak passengers, including those along the popular Northeast Corridor. Kulm said DeFazio was probably referring to the total ridership of all the commuter passengers Amtrak supports, including on other lines that run on Amtrak’s track, like Maryland’s MARC train, the Virginia Railway Express, New Jersey Transit, and the Long Island Rail Road. (Amtrak also directly operates three commuter trains: LA’s Metrolink, MARC’s Penn Line, and the Sureline East in Connecticut.) Add in all Metra trains in and out of Chicago’s Union Station, which Amtrak owns, and you get 230 million passengers – far more than the 30 million annual riders on Amtrak trains alone. Either way, Mica should get over his obsession with Amtrak subsidies, said top committee Democrat Nick Rahall — “as if there’s something wrong with subsidizing transportation.” That’s what the committee does, he said. Rahall went on about Republicans’ “tortured logic,” which he said makes clear that labor will lose out. Rahall encouraged Mica to let the committee get on with the rest of its work and let Joe Boardman focus on running his railroad, rather than running down to Washington for hearings all the time. “In the next rail title, we’ll need a new line just to shuttle Mr. Boardman back and forth from his office to the committee room,” Rahall joked. I always wonder where the USDOT is in hearings like this. Would they dare pull out the 1961 HCA study that followed the interstate bill and explain that it specifically said that the users of the interstate would never financially pay for their use of the system. Somehow I think they are happy to just keep their heads down. Do they dare explain that the $0.12 a vehicle mile being charged to partially offset the cost of new build toll roads by TxDOT is about ten times what has been paid by the users do the interstate system. Or that Amtrak is primarily in competition with interstate automobile users and of course the various government insurance programs are what really cover you when you are in a serious car disabling car wreck but we don’t count that money out of the HTF. Ain’t part of the point of Amtrak is paying pensions for railroaders who never even worked for Amtrak? That $51 perhaps has little to do with operating subsidies at all, except railroad pensions are lumped with operations. As for intercity buses, they benefit from highway subsidies. Considering it is carrying low ridership rural routes, that is FANTASTIC. IF ONLY the subway (getting close) and the commuter railroads did so well. Considering the inherent burdens of being a public agency, we are approaching the point where private railroads may once again be profitable. The legacy costs of a once much larger rail system should be shriking over time. Another future benefit for rail. Actually, it does seem to me that there’s something wrong with subsidizing transportation. Why should that get special treatment over, say, construction, or communication? IanT is 90% right. Subsidization is just an indirect way to pay for something. I say “90%” because sometimes a valid economic argument can be made for subsidization. For example: using bridge tolls to subsidize alternates to the bridge, like a subway. The biggest problem I have with Mica is that Republicans always obsess with free-market principles, and yet they ignore the fact that record numbers of Americans are choosing public transit every year in a very free-market way: with their hard earned money. I’m standing in line in Boston’s South Station right now, and I wish Mica were here to ask all these people if they’d rather drive through hours of traffic – on, yes, federally subsidized roads – to get where they want to go. I sure as hell don’t, and obviously I’m not alone. I’ll say it again…why not eliminate all federal infrastructure spending? People can move between states, and freeloading states can shift their huddle masses elsewhere for care when they need it. And have done so. So have the federal government pay for direct to people entitlements, like health care. Infrastructure stays in place, and different places have different needs and preferences. You pay for yours, we’ll pay for ours, and we’ll cut out the middleman in DC. My train, Caltrain (San Francisco-San Jose, CA) just changed operators this year – from Amtrak, which was the operator since the train system was spun-off from the state of CA in 1992, to Transit America Services Inc., a division of Herzog. (See this dated Caltrain press release to see all the bidders). Caltrain looks just like Tri-Rail – the new trains, that is. The older ones look like Chicago Metra. Amtrak does not earn a true profit on its NEC services. Yes, its financial reports indicate that ACELA revenue from ticket sales and on-board services exceed Amtrak’s cost for ACELA operations. But that calculation excludes non-ACELA NEC operating revenues and costs and also excludes both capital and overhead expenses for the NEC. The vast majority of Amtrak’s annual federal “subsidy” pays for most of these latter costs. The main thing wrong with Amtrak is the acute nationwide shortage of it. It needs to grow, not shrink. We have enormous pent-up demand for passenger rail and can’t begin to meet it. We need more trains on almost every existing route, and new trains on new or restored routes. In recent years, every added or extended train has filled up. New routes like the Downeaster (running Maine to Boston) and the Lynchburger (NEC to Charlottesville to Lynchburg, VA) and even the Heartland Flyer (Oklahoma City to Ft Worth) exceeded passenger and revenue projections. Until Amtrak can order more coaches for the Acleas, more than 1,200 NextGeneration coaches for the regular trains, and about 300 new Quick Accelerating diesel locomotives, it simply will not have the equipment to add more services, even if states, or Congress, were ready to pay any needed subsidies. The business-like approach to Amtrak’s problems is to _grow_ the business. Very rarely do businesses shrink into prosperity. That course of action is prescribed by Amtrak’s enemies among the Randian cult and others who simply want to see it die. In 2011 Amtrak received $1.4 B in federal investment (far, far less than other modes) and returned approximately $3.9 B into the economy (salaries, goods and services, new equipment purchases, infrastructure upgrades, etc). The difference comes mostly from ticket sales.So, for every US dollar invested Amtrak produced an additional two dollars and all of this went to provide jobs or stimulate manufacturing (mostly in this country — as it is hard to operate a train from China…), purchase fuel, etc. In addition, much of the $3.9 B is returned to the government in the form of income and other taxes.In 2011 Amtrak also provided transportation to 30 M US citizens, thus reducing the impact on our highways (including much greater safety levels), aviation assets and the environment. And, very important to cities such as Boston, NY, Philadelphia, Baltimore and Washington, Amtrak’s Northeast Corridor helped move no telling how many millions of daily rail commuters (who would otherwise clog the regional highway infrastructure to the point of total gridlock). As for losing money on food service, most folks understand that its a loss leader. Have you ever wondered why Texas Roadhouse gives you all the peanuts you can eat? Ever wonder what it costs them for the peanuts and the labor to clean them up off the floor every night? Isn’t it interesting that something that costs them money actually helps them make money? And, do you really believe that airlines make money by serving food and beverages at 30,000 feet? Its why thy usually bundle the food into the cost of the ticket and take a loss on beverage sales. Amtrak is a cherry picked ideology target for the Republicans (of which I am one but can’t vote for many of our candidates as they are listening to the wrong heartbeat) and if you shut it down today you would have to carry the budget figures out to three decimal places to see the change in the bottom line. Ever wonder why the Republicans spend so much money on such a minor, minor, minor budget item?The Republicans need to focus their attention on our real problems, not Amtrak which, if properly invested in, would return even more on the taxpayers dollars (triple the LD routes and frequencies and instead of a 2 to 1 return on federal dollars it would be in the range of 4 or 5 to 1 and annual ridership would exceed 100 M — its called economies of scale…) I will concede that there are some legitimate issues with Amtrak’s unions. Labor has very attractive salary and benefit packages and this drives up the operational costs — to include the costs of serving a hamburger at 80 to 135 mph (any idea what your Big Mac or Chicken Tenders would go for if the person serving you was making what Amtrak food service personnel make? However, the big issue with Amtrak’s labor (other than their bosses and the fact that their mostly good employees are undercut by their sorry ones) is their antiquated and inflexible work rules. Well, you say, Amtrak’s board of directors should fix that. Then talk to George W. Bush as it was his BOD and he was president at the time.I surely hate to vote for Obama and some conservative (eg, Blue Dog) Dems, but Mitt, the tea party and guys like Mica certainly limits my choices. There’s not many railroaders left who worked before 1971. They lived hard and died young. That’s why federal railroad retirement has such a large surplus. I was completely confused that why you asking such kind of question? It is necessary to make changes about construction, communication and various technologies also? I live in NYC and take the train as often as I can to places like Philly, Boston, DC and Charlottesville. It beats flying, hands-down in my opinion. I also think it is a far more pleasant experience than driving. What is the best way to compare government spending on various modes of transportation (highway, transit, bike…)? To what extent can we take into account life-cycle costs? How can we cite the results? Republicans LOVE the airlines, the highway folks, and the freight RRs and are willing to help them, but the minute a taxpaying citizen boards a train that becomes anathema. There is no rationality here, just braindead ideology. A dollar burned on (NON) Essiential Air Service is good, one spent on far more useful rail is bad. Three impossible things before breakfast. 85% farebox recovery is pretty amazing considering how terrible the service is in most places. Minor point, but Amtrak does not operate Los Angeles’ Metrolink. They are an independent rail agency that shares track with Amtrak. You may be thinking of the Pacific Surfliner service which runs on some of the same routes as Metrolink’s. Yes, Metrolink is an independent agency, but they contract out their actual operations. After the horrible head on accident a couple of years ago where the engineer was texting, Metrolink dumped the contractor that they had. And they gave the contract to Amtrak. So while the trains say Metrolink, Amtrak does the actual operations. Not fair! Republicans hate freight rail too, even if only because it’s mostly owned by Warren Buffet. The Repubs have Amtrak right where they want it. A semi-failure: suffering a perpetual shortage of rolling stock and routes; providing minimal service, with out-dated facilities and run-down equipment; piling up losses and just getting by with modest subsidies, and every year about the same as the one before. The Repubs certainly don’t want to invest to see it grow and improve — and they don’t really want to pull the plug. Amtrak is their Exhibit A, evidence that government can’t do anything well. So they will try to keep it from growing, improving, or doing anything well as long as their controlling cult holds to that core belief. WoodyinNYC…YOU SAID IT! You are right! I like to share knowledge that will I have built up with the season to assist improve group functionality. 60% of the goods in the country are transported by trucks on subsidized highways. Commercial rail use is privatized (and Amtrak pays a fee to use that rail). The federal government pays for highways because interstate commerce isn’t possible without them. Citizens benefit from the highways in the form of easy routes between states but the primary purpose is interstate commerce and to keep cost of transportation for good sold in this country to a minimum. You ever wonder why food costs 30% more in Europe? Because their roads are garbage. If there is not enough demand for taking the train to cover the cost, then How can it be defined “vital and necessary”? As a tax paying citizen I am opposed to funding the automobile equivalent of 250 miles ($51x$0.20 cost of gas/mile) of every trip anyone makes on Amtrak. The Amtrak employees are UNION and the funding is to support a Union Kick back to Democrats. That Would be why the Democrats lied about the numbers in the article. Especially given that the UNION Kicks back large sums of the dues they are FORCED to PAY… to the Democrats… so they can vote more subsidies to the Unions…. Wake Up fools, or show me where in the Constitution it says we the people are all to pay for the train travel of the few…. Business should stand on its own without subsidies. Is there some reason that some individuals continue to use that vulgar slur to label a political movement they disagree with? I can’t say that I believe everything that republicans believe, but democrats are far from perfect. I grew up in a family that usually votes republican, but voting isn’t about what party you associate yourself with, its about what you believe in (or love) and what you stand for or against. I love trains, I always have, and I am extremely happy that passenger rail is not completely lost in America, but the government should not pay for things that are not their responsibility. That being said obviously roads do not pay for themselves, and neither do the people that use them. I would love to give Amtrak $500,000,000,000 (the amount highways got started with) but that doesn’t help our debt. I think that $25,000,000,000 each year for Amtrak and the same amount for highways is a good compromise, because we know highways don’t MAKE money, they burn it, and Amtrak has already shown that their “High Speed Rail” (it only reaches a TOP speed of 150mph) is profitable. I think if they were given the money to upgrade rail, engines, cars and facilities for 200mph+ service, they could easily make it back, and soon be very profitable. Then they can sell off their routes to UP or BNSF or any other company that has interest in passenger rail. are built to be worn down and repaired every few years. the basis that they believe, seriously that we can convert tribal people who have been killing each other over religion for twelve centuries into a democracy. have other people’s sons daughters go off in uniform to spill the blood. Where did it say demand was low? How are you getting 254 million “Amtrak” passengers? Most of the commuter railroads you quoted do not run on Amtrak-owned track. Also, it is Shore Line East, not Sureline East. What Would Meaningful Amtrak Reform Look Like?